I don’t typically read romance. There’s just something that feels too artificial in a lot of books where romance is the main point. 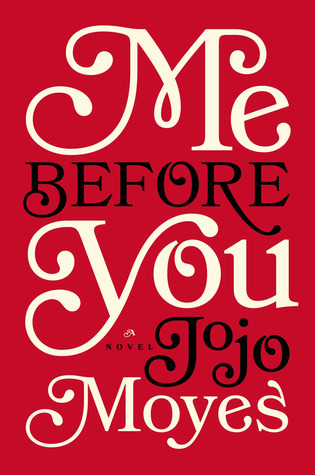 Still, I like romance as a sub-plot if it is done well, and I was very impressed by the book Me Before You by JoJo Moyes. This book centers around the main character Louisa Clark who finds employment taking care of a quadriplegic man. Throughout the book, Louisa not only falls in love but discovers a lot about herself. She is challenged in many aspects of her life, and she grows a lot throughout the course of the book. I found her to be a very engaging character, and I think a lot of readers will be able to identify with parts of her character. I do not want to give away too much of the plot, but I will say that I thought the ending was very well done. It made me feel many complicated emotions. I won’t say more because anticipating the ending was one of the best parts of this book reading experience. Overall, I would absolutely recommend this one to anyone who wants romance with much character development. It was a very fast read, and I can see it doing very well in a book club because there is a lot to discuss at the end (again, I don’t feel I can say more without giving important things away).